A passer-by had to descend to a Lake District hamlet where a phone box was threatened with removal to summon help for an injured man he came across. 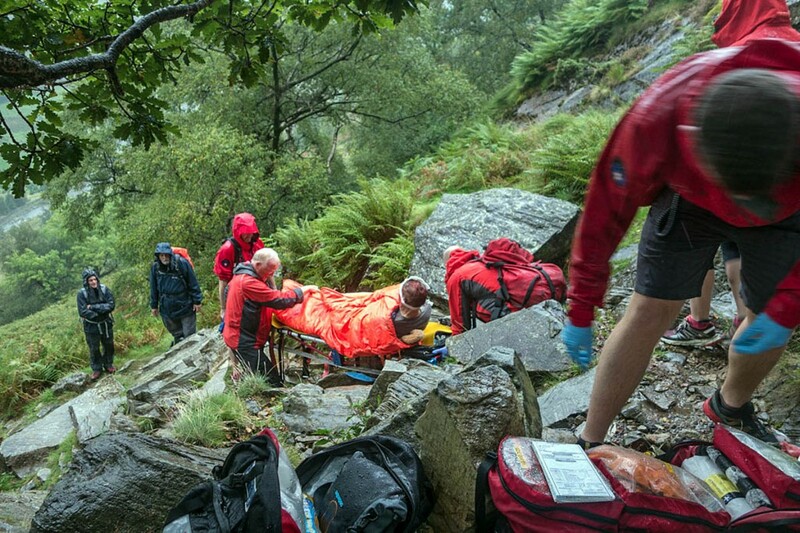 The walker came across the 50-year-old on a fell on Borrowdale, but had to make his way to Seathwaite Farm to call for help, as there was no mobile phone signal. A payphone at the remote settlement had been scheduled for removal by telecoms company BT, but the company announced on Tuesday it had backed down in the face of a campaign led by Keswick Mountain Rescue Team to retain it. On the very day BT announced its change of heart, the team was called out about 3.40pm following a call via a landline at the remote location, after the man suffered multiple injuries while descending Sour Milk Gill, above the hamlet of Seathwaite. A team spokesperson said the walker had taken a tumbling fall from the difficult slab, and landed head first, suffering a number of injuries. “The informant had to descend to Seathwaite Farm to raise the alarm as there was no mobile signal,” the spokesperson said. “The team responded immediately, and North West Ambulance Service despatched Helimed 08 to assist. The location of the casualty was about 250m up an extremely slippery, rocky path. “By the time the air ambulance was on scene, the team had undertaken preliminary treatment, and had got the casualty loaded on to the stretcher, for a tricky and strenuous carry down to the valley floor. The team waited for air ambulance to get airborne before standing down. The 2½-hour rescue involved 12 volunteers from the Keswick team. BT said its original decision to propose removing the phone box was based on data that showed, in a recent 12-month period, no emergency calls were among the 378 made from the Seathwaite payphone. A company spokesperson said: “The team running the payphone consultation have made a decision to remove this box from the consultation process due to the lack of mobile coverage.